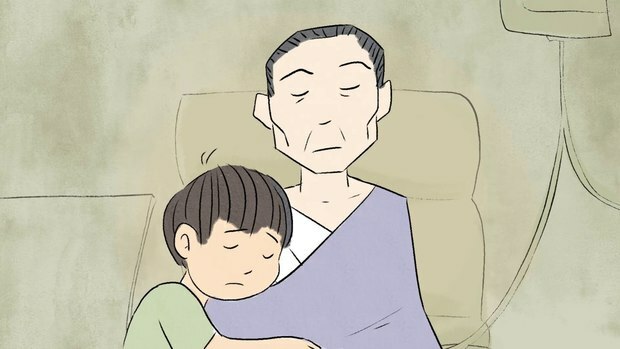 Starting an animated short film at age 12 forced a young director to face his grief while continuing to learn from a father who’d passed away far too soon. 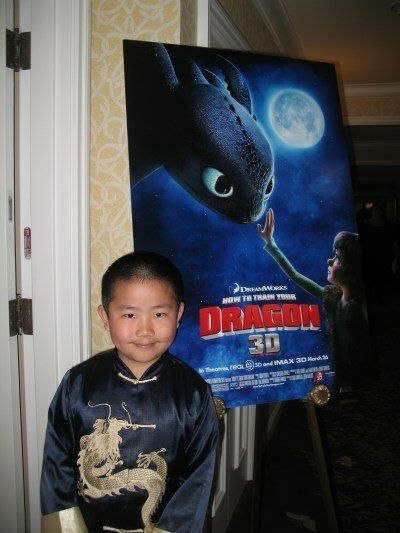 It’s one thing to start reviewing animated feature films at age 9. 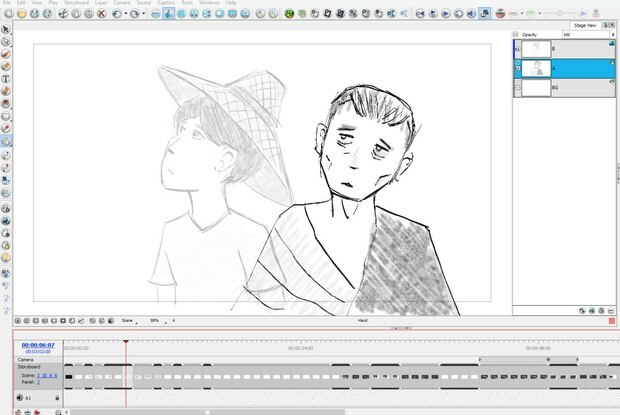 It’s another thing to animate on a short film at age 10. But it’s a vastly different thing, starting at age 12, to write and direct an animated film about the life of your own father who had just passed away from cancer. Struggling to make sense of a parent’s death at such a young age must have been overwhelming. Trying to somehow work through that grief by producing an animated short just seems like a recipe for all kinds of disaster. 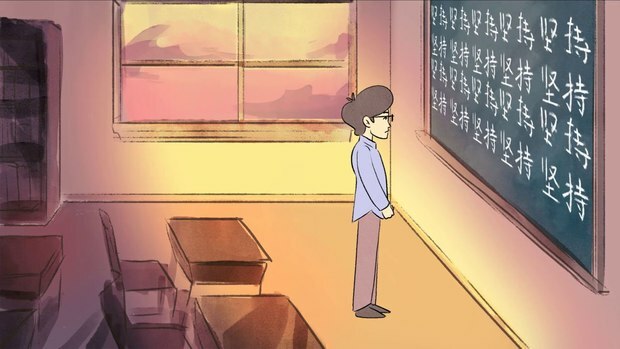 But not for Perry Chen.His film, a 5 ½ minute animated short finished last year, is called Changyou’s Journey. 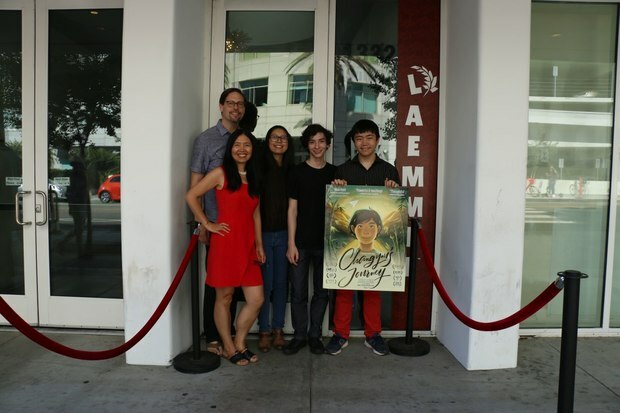 For Chen, embarking on what became a five-year odyssey to make the film was his way of not only honoring his father, Dr. Changyou Chen, but finding within himself the means to overcome feelings of inadequacy, that he had somehow abandoned his father as he lay dying in a San Diego emergency room, the very moment, he kept telling himself, he failed his dad when needed most.Chen started blogging for AWN back in early 2010. He rated films on a scale of 1-5 starfish. At the time, I didn’t quite know what to make of him, though intuitively, it certainly made sense to have a kid review films for kids. He was just so….young! 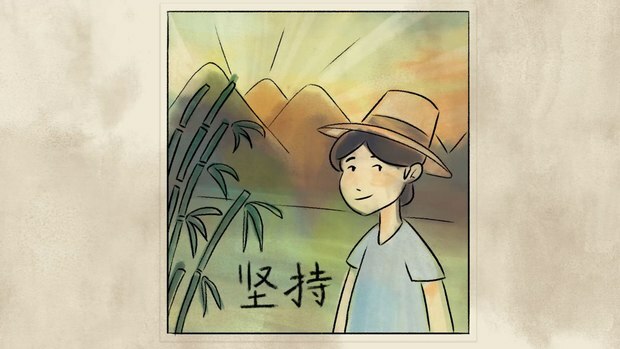 But, 54 AWN articles (over 100 counting his other published works), numerous awards and scholarships and his own short film later, Chen has journeyed far himself, no longer the smiling 9-year-old I first met at a Royce Hall Annie Awards reception, tightly clasping the hand of his mother, Zhu Shen. Considering the almost relentless persistence he exhibited when writing for AWN all those years ago, knowing the amount of perseverance and effort that must have gone into the film’s production, it’s no surprise he has brought the same drive to such an emotionally charged passion project of his own. He recently had a chance to talk about the film, the role of parents and mentors in his life and what taking on such a seemingly impossible effort means to him now, at age 18, a freshman at U.C. Irvine, no longer the young kid seen in countless press junket pictures alongside some of the biggest names in our industry. Now, he’s a young man who I’m sure would make his father proud. Dan Sarto: Your father had a huge impact on your life. You were so young when he passed away. What inspired you to make an animated film about his life? Perry Chen: For a 5’4 man, to me, my dad was larger than life. He came from an impoverished home in a remote village in China’s Anhui province. Through sheer willpower and perseverance, he became the first person ever to leave the little village behind to go to college. He graduated from one of China’s top research institutes – Peking Union Medical College – where he met my mom, then came to America, earned his Ph.D. in molecular biology and genetics, trained at Stanford in cancer research, and eventually co-founded a biotech company in China to develop cancer drugs. I inherited his sense of humor, temperament, humility, culinary experimentation, and love of Mexican food! In 2010, my dad was diagnosed with metastatic squamous cell skin cancer. 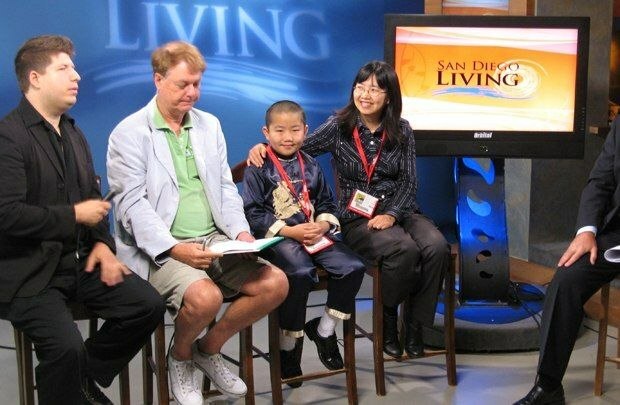 He had to give up his research and return home to San Diego for full-time treatment. For two years, my mom cared for him 24/7. In the blink of an eye, chemo and radiation withered him to a husk. Unfortunately, it failed to do the same for the parts that truly deserved withering. In early July 2012, when I learned the oncologist gave my dad two weeks to live, I committed to making an animation film of his life, to bring him a last glimmer of hope for recovery. I called the film Changyou’s Journey. He barely lived to see the one-minute trailer I made that summer after I graduated from elementary school. He smiled and nodded, gave me a thumb-up sign, seeing his childhood come alive on the screen. Five years later, in the summer of 2017, it was tremendously gratifying to show the finished film to my 90-year-old grandmother and the rest of her family who still lived in my dad’s rural childhood home. DS: Share with us some of the details of the production. How long did it take? What techniques and tools did you use? PC: I had quite a journey of my own making Changyou’s Journey. The production lasted five years, starting in the summer of 2012 when I had just graduated from elementary school, ending in the summer of 2017 when I was 17, right before my senior year in high school. My artistic and storytelling style changed dramatically over that period. The story also changed multiple times, as my vision and priorities evolved along with my personal growth through adolescence. Through a mutual friend, my mom connected with David, a Juilliard-trained musician and composer, to work on the score for our film. He orchestrated all the musician performances, sound recording, mixing, and mastering. This was David’s first film score, and he created evocative, powerful music with distinctive traditional Chinese musical elements mixed with American Jazz and classical music. His score really embodies the emotional core and bicultural experiences of our characters. We had a shoestring budget as indie filmmakers, relying primarily on private donations from friends, families, and colleagues of my parents. We used software generously donated by Toon Boom Animation and Wacom Cintiq tablets. I’m also grateful to the more than 400 people, organizations and corporations donated money over the course of our production. DS: Who were some of the people who mentored you during the project? PC: As far as mentors, there have been a number of important teachers who helped me along the way. I learned a lot from Bill Plympton, whom I met at Comic-Con in 2009. Bill became my first animation mentor and collaborator on Ingrid Pitt: Beyond the Forest, a 6-minute short co-produced by my mom and directed by Bill’s friend Kevin Sean Michaels. After seeing my drawings at Comic-Con, Kevin decided to hire me the following year to animate this young women’s Holocaust survival story. I studied Bill’s character designs and storyboard with 23 pencil sketches, carefully observing how he told the story with economy of visuals and how he conveyed the flow of the story with movements and masterful transition scenes. For example, the steam of a cooking pot used by Ingrid’s mother in one scene turned into the smoke generated by a plane crash in the next scene. I finished the animation in 2011 while I was in 5th grade. The film was later acquired by Shorts International and went on to qualify for an Oscar in 2011. 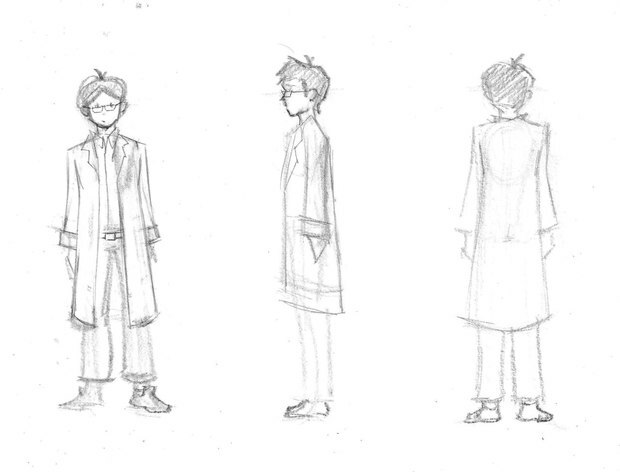 When I began work on my own film, I used what I learned from Bill in creating the storyboards and character designs. In 2015, I met Robert Kondo and Daisuke “Dice” Tsutsumi, co-directors of The Dam Keeper, my favorite animation short that year. They started mentoring me remotely, mostly through emails, sending examples of their own animation designs, explaining and enlightening me on the technical and business side of indie animation production. Robert and Dice were art directors at Pixar for years before striking out on their own with Tonko House, making indie animation films, something I truly admired. David Chai, another animation director whom I became friends with at the 2011 San Diego Asian Film Festival, also mentored me on animatics, storyboard, and gave me advice on finding other animators to work with. DS: Now that the film is complete, what are your thoughts on the project? Did you ever imagine you’d finish? Is this the tribute to your father you had hoped to make? PC: After my father passed away in 2012, I struggled making the film while dealing with my grief over his loss and at the same time entering adolescence. I grew to loathe the film. I hated it for not fulfilling its purpose of keeping dad alive. I hated myself for being cowardly, for not sticking with dad to the end. I felt inadequate. I was ready to abandon the film many times during the production. There were times my mom thought our film was doomed. The final film is very different from what the 12-year-old me imagined when I started out. We had to make a number of heart-wrenching compromises during the production due to restrictions on the amount of animation detail we could create. That included cutting the film’s length by half to its final 5’30” running time, and cutting a particularly moving excerpt of the Chinese pipa music that our composer David Arend was most fond of, due to cost, time, and other logistical constraints. I learned the importance of knowing when to foster creative freedom among my partners, and when to be absolutely decisive about maintaining my artistic integrity and vision. After my dad passed, mom gave up her successful career in biotech, one she had trained for much of her life, in order to support me in my creative pursuits and personal growth. In producing Changyou’s Journey, she has found new joy and fulfillment in pursuing her own creativity. Mom and I are especially close. We were all each other had after my dad passed, as the rest of our extended families are all in China. Mom taught me how to make connections with people, how to take initiative in creating and seizing opportunities in life, how to be tenacious, fearless and resourceful. She is quite the “Zen Mom” who raised me with mindfulness, compassion, wisdom, and gratitude. 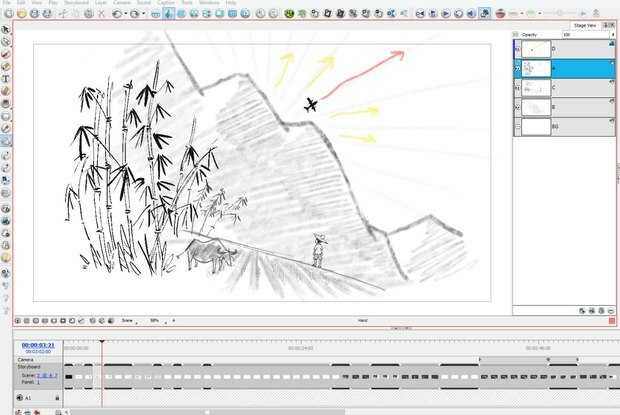 One of the biggest challenges in directing Changyou’s Journey was figuring out how to condense my father’s entire life and rich experiences into 5 ½ minutes of animation, how to convey such a rich life with concise, effective, and emotional visual storytelling, with no dialog, so that audiences from all over the world could understand the story intuitively and emotionally without any language barrier. I hope after all this that I was able to convey what I have learned from watching animation master’s works in the film’s final cut. The film has now been screened at 16 film festivals, winning several awards. Winning the 2018 Scholastic Art & Writing National Gold Medal and New York Life Award the same day we were returning from our film’s international premiere at TIFF Kids this past March in Toronto in March was truly special. I’ve been fortunate enough to also win several scholarships including a 4-year Regents Scholarship to U.C. Irvine. It’s been particularly rewarding to speak to parents, and kids, after they’ve watched my film, sharing with my mom and I their own stories of loss and how the film moved them. Grief is universal, something every person experiences multiple times in their lifetime, sometimes when they are very young. What endures, and what I tried to capture this film, is the undying hope for a better future, our memories of our lost loved ones and their legacy, and how that will continue to shape our lives in the future. Perry and Zhu have begun work on A JOURNEY OF A THOUSAND MILES, a documentary film chronicling the making of Changyou’s Journey. A fundraiser for the film, to support their ongoing work and vision as filmmakers, is being held November 18th, in Poway, California. Ticket information and details can be found here. You can read more about Perry, Changyou’s Journey and future screenings by visiting the film’s website. You can read all Perry’s work on AWN in his blog, Perry’s Previews – Insights from a Child Film Critic.